Note from Dan Mabon: It’s already getting late here on Friday morning as I type this, so I encourage you all to go out and enjoy your cars in this beautiful weather. 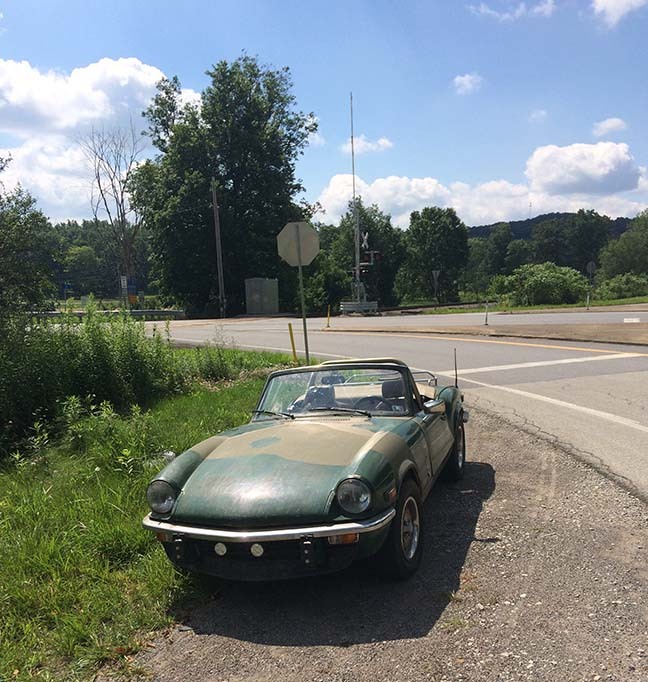 Last weekend I was lucky enough to be able to get my Spitfire out for the first time and enjoy her on the twisty Pennsylvania roads. The one thing that I noticed is that the universal joint that I didn’t replace last year is still broken, having not magically repaired itself over winter. I suppose I should buy parts! Here’s my car out and about last summer. Remember to enjoy your car when you can!